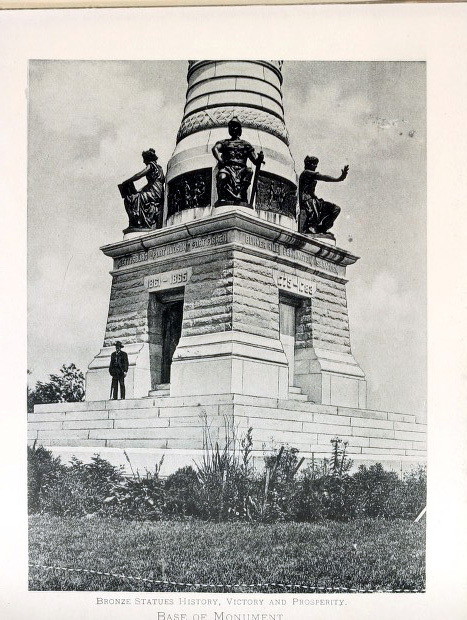 New Haven men of the Ninth Regiment CV who died during the Civil War were among those who were honored by the Soldier’s and Sailors’ Monument dedicated in 1887. The monument which was initiated by early efforts of the Admiral Foote Post of the Grand Army of the Republic memorialized New Haven men who died in four wars including the Revolutionary War, the War of 1812, the Mexican War and the Civil War. 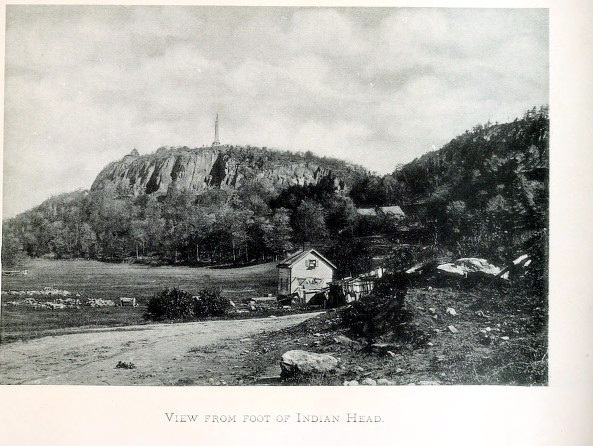 The 110 foot tall monument was placed at the top of East Rock Park overlooking the City of New Haven. 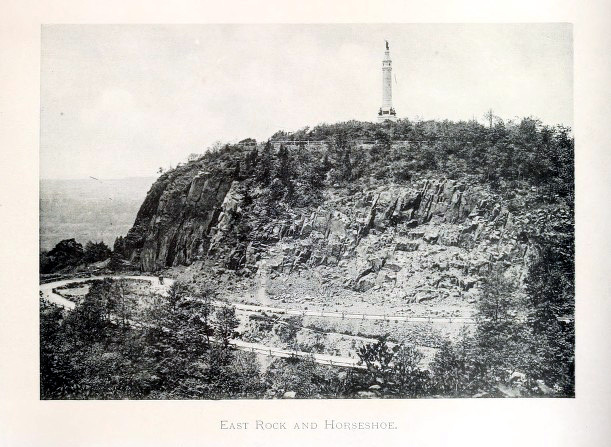 The dedication ceremony held on June 17, 1887 was attended by a crowd estimated between 100,000 – 175,000 people with many dignitaries including General William Sherman and General Philip Sheridan.